This is a small yet highly comprehensive package for local city usages. It is available at our online portal. The Local Full Day Hire service will be available for various local trips and activities such as shopping, sightseeing, seminars, attending meetings, visiting hospitals, and a lot more. This is a mini package planned for busy travellers. It is ideal for local city tour usages. 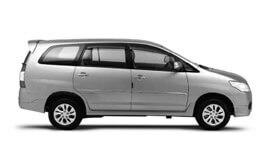 You can avail this service under categories such as Airport Transfer in Kovalam, Car rental service for Marriage, party and event, Corporate Cab Rental in Kovalam, Railway Transfer, visiting hospitals and a lot more. We have exclusive packages for outstation travel. These are perfect for a number of tour purposes including weekend getaways, trip with friends, excursions, and family leisure trip outside the city limits. Under this category, we also offer special group packages from Kovalam to nearby places. The cars sent across will accommodate group size to ensure maximum convenience. The exclusively designed to and fro service for Kovalam tour will look into your precise to and fro trip requirements. The service is widely available for multiple destinations from Kovalam. The package is ideal for one way drop to preferred destination from Kovalam. If you are looking forward to visit more than one city within a fixed period of time, this is an ideal package for you. We also offer special Kovalam city sightseeing tours and any other customized cab rental packages. At My Taxi India, we guarantee the best car rental services in Kovalam at highly affordable prices. Kovalam is situated near the sea. Hence, the weather here is tropical in nature and highly influenced by the land and sea breezes. The days here are warmer and nights are cool. The place is blessed with bright sunny weather on most of the days which makes it ideal for sunbathing on the beach. The climate in Kovalam is also affected by the monsoon winds and hence it receives heavy rainfall during the monsoon months in Kerala. Presently, according to the 2011 census, the city of Thiruvananthapuram has a population of 752,490 residents. The major business in Kovalam is tourism. Besides, fishing is another business that has been widely flourished in and around Kovalam. Kovalam is a beach town by the Arabian Sea in Thiruvananthapuram city, in Kerala state of India, located around 16 km from the city center. Kovalam is widely known for the beaches. With us, you will visit to Padhamanabha Swamy temple, Museum, Horse Palace, Art Gallery, and the tropical beaches such Lighthouse Beach, Hawah Beach, and Samudra Beach.